Environmental organizations and Oxnard’s elected officials are working to restore the shoreline of Ormond Beach. 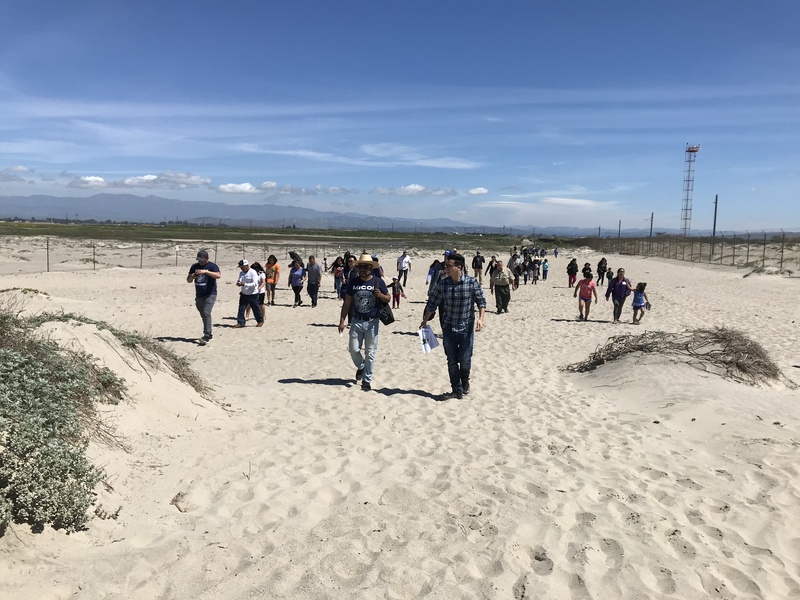 Above, Mixtec families from Oxnard tour the beach. April 26 — The 2020 Census: What’s at Stake for Georgia’s Traditionally Undercounted Communities? Ethnic Media Servces works to enhance the capacity of ethnic news outlets to inform and engage diverse audiences on broader public issues with the goal of building more inclusive participatory democracy. • Convening roundtable briefings that bring ethnic media together with experts, officials, nonprofit leaders and advocates to exchange perspectives on urgent issues, generate media coverage and expand cross-cultural and cross-sector communications. • Organizing professional trainings and fellowships for ethnic media reporters that expand their knowledge of key issues, connect them to sources and provide financial support for in-depth reporting. • Coordinating social media and marketing campaigns that enable government agencies, foundations, nonprofits and public affairs firms to customize messaging that resonate with diverse audiences and expand ethnic media’s access to critically needed ad revenue. • Developing communications projects with underserved groups that deepen their engagement with and amplify their voices in the public realm. • Profiling ethnic media practitioners that puts a human face on an otherwise invisible ethnic media sector. Ethnic media are news outlets that serve audiences isolated by language, race, ethnicity and sexual identity from the wider society. A feature of America’s media landscape for centuries, they provide news, information, cohesion, identity and a collective advocacy voice. “We wish to plead our own cause. Too long have others spoken for us,” proclaimed Freedom Journal, the first black newspaper in New York in 1824. It continues to define the qualities that make ethnic media a distinctive genre of journalism — a parallel universe of news. Raising awareness of what’s at stake and what’s at risk for the upcoming census. Tracking the highly charged politics of immigration reform and its intersection with human and civil rights. Partnering with the Federal Trade Commission to build ethnic media’s capacity to report on scams in their communities. Promoting awareness of LA County’s efforts to modernize its water management system to deal with drought and extreme storms. Expanding ethnic media’s coverage on and about the environment — from sea level rise to wetlands reclamation. Developing a peer-to-peer messaging model to break the stigma of depression on community college campuses. Enlisting ethnic media as an advocacy voice to promote voting rights and shine a spotlight on voter repression. Training and producing youth writing and art to document new forms of youth expression in the far suburbs.